As a result of 15-day excavations in 2006 ruins with a lot of ceramics with two cemeteries, basilica, built in the Hellenistic technique of drywall made of massive hewn stones, walls with semicircular towers, remains of basilicas of early Christian period were found. Of particular importance for archaeologists was the great amount of ceramics, typical for the first half of the I century BC, that is in the era of the reign of Tigran the Great. As a result Armenian archeologists came to a counclusion that the settlement existed between the beginning of the I century BC and XIII-XIV centuries AD and was one of the cities erected by King Tigran the Great. According to Armenian archeologists, among the finds a unique cross-shaped basilica of early Christian period going back to the V-VI centuries can be found, which is considered to be one of the oldest in the Transcaucasia. Among the ruins of the basilica an inscription in Armenian language was found which is a small disk with a diameter of about 8 cm. The inscription says: “I am Vache, the servant of God”. The disk belongs to the category of donative stones, and apparently belonged to one of several famous historical figures of the name. According to Armenian archaeologists, it is one of the few churches that has entrance from the north , south and the west side. The church existed until the IX century, when “because of damage caused by the Gentiles, or as a result of earthquakes, it ceased to exist”. The city was built on the slopes of Mount Vankasar (Chobandag), and because of the steepness of the hill terraces were cut down. The Acropolis of the city was erected from a large spring, which provided the population with water. Limestone was the main building material. The city occupied about 50 hectares and could accommodate several thousands of people which according to ancient standards was a city of medium-size. The city fell into decline early in the Middle Ages and became desolate in the era of the Mongol invasion, although probably not immediately after the invasion. According to the head of the excavation Dr. Hamlet Petrosyan, the town consisted of three parts: in the upper part palaces were situated, then there was the central block, and in the lower part a walled quarter – the Acropolis could be found: all this together gave the city a form of a triangle. If during the first three years of excavations only parts of the city were revealed, in 2008 extensive excavations were carried out. 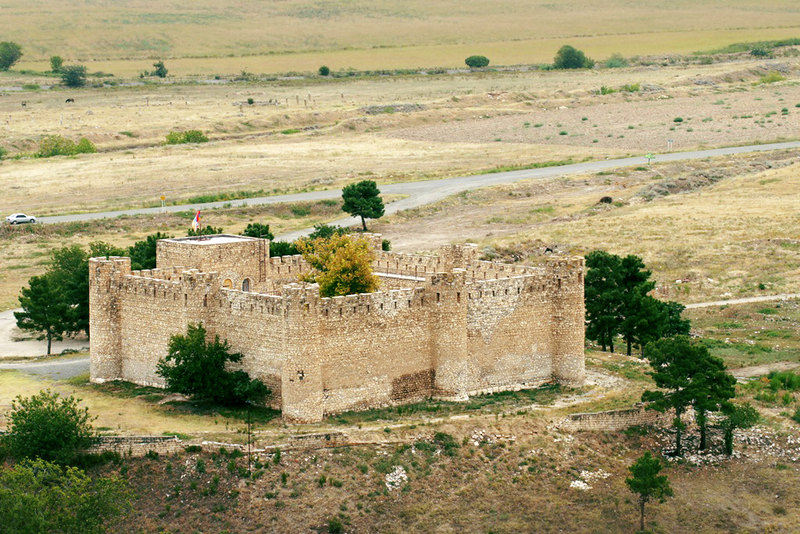 The main finding in 2008 was a round tower with a diameter of 9 meters made of hewn stones, characterized by archaeologists as one of the perfect specimens of defensive constructions in the times of Tigran the Great. Among other finds there was a gravestone with Christian cemetery crosses and 10 khachqars, and an iron spade of the IX century, which is also of great value because only a few such samples have been found up to now. In 2009 an antique gem with the image of an eagle tearing a hart was found in the citadel: according to Hamlet Petrosyan gems were used as seals , thus the find indicates the administrative importance of the city.